An ever-growing pile of circumstantial evidence suggests that the Trump campaign colluded with Russian efforts to turn the 2016 presidential election in its favor. Given Manafort’s long relationship with close Kremlin allies including Yanukovych and Deripaska, and in particular his indebtedness to the latter, it is hard to imagine him as either a naive or passive actor in such a scheme. Manafort was in the room with Donald Trump Jr. when a Russian lawyer and lobbyist descended on Trump Tower in the summer of 2016, promising incriminating material on Hillary Clinton. That same summer, the Trump campaign, with Manafort as its manager, successfully changed the GOP’s platform, watering down support for Ukraine’s pro-Western, post-Yanukovych government, a change welcomed by Russia and previously anathema to Republicans. The Russians offered the "dirt" on Clinton and the Wikileaks dump in exchange for the lifting of sanctions with a promise cash flow for Manafort and Trump for to get out of debt. Last edited by broman on Sat Sep 15, 2018 8:25 pm, edited 1 time in total. I'm betting Manafort spills his guts on either Don Jr. or Jared. Manafort's value is in Russian influence and money changing hands in exchange for changes in policies, not in corroborating what's already known about Donnie or Jared. In any other world, the Republican Party would have been all over Trump for reversing its stance on Ukraine. My money says that would be of much more interest to Mueller. And he's still President and Hillary is not. Tommy Tar wrote: Source of the post And he's still President and Hillary is not. Yeah, imagine how many "witch hunt" investigations we'd have if Hillary had won. Just think of all the imaginary corruption you'd be able to scream about. I don't mind Trump as president. He has caused a level of activism I haven't seen since the 60's. I doubt liberals would be this mobilized had Clinton won. He's also done wonders for the newspapers he calls the FAKE MEDIA. People in the business are actually calling it a Trump bubble and they're concerned about circulation falling off when he leaves office. Go figure. And now we return you to our regularly scheduled tumult. 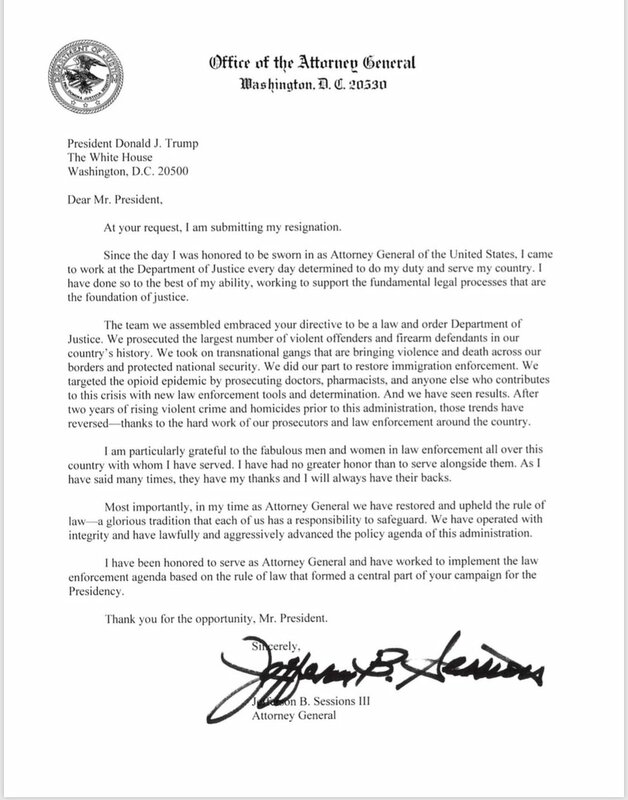 Sessions' letter. Maggie Haberman pointed out it isn't dated. Jeez, did he sign that with a crayon? He probably used the one Don handed him. Settling all family business. Welcome Trey Gowdy to the AG office. That would be sweet, Tommy!